4.Heat the wax for about 20-30 min. Then begin to use. 5.Move the products to the direction that the hair grows, and cover the area of 15-18 square centimeters.Make sure suitable the temperature of wax treatment. If the wax is too hot, wait for a while then to begin the operation. 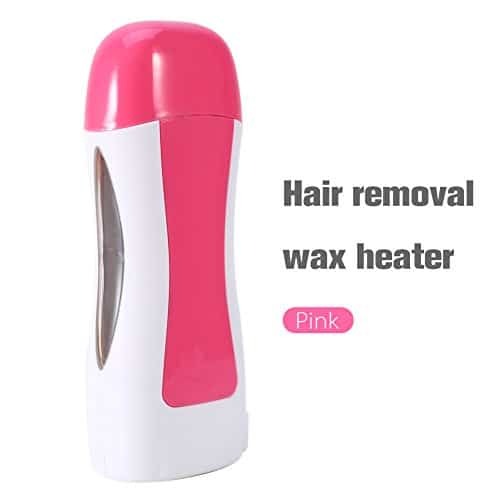 Or place the wax on the hair-removal paper for use. Cut the power before cleaning. Don’t use in sensitive skin or skins that have other problems. Don’t expose in sunlight and UV 24 hour after the wax treatment. Please note:depilatory wax is not include! 1. All the items will be dispatched within 24~48 hours after your payment is clear. 3.If your confirmation time is coming out , you still do not receive the goods, please contact us, we will extend the delivery time at the first time. 4.Please don’t open the dispute within 40 days. If after 40 days you still do not receive the goods, please contact us to solve it.